Looking for a nice cradle and haven't had much luck in finding one? Worried about what you might not be able to do if you didn't have a cradle? 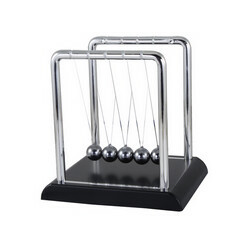 If you are looking for a cradle and haven't been able to find one, Giftwrap offers the newtons cradle with black wood base. This is a special cradle designed to fit and match your needs. The catch is that the cradle will fit any purpose you like and desire, the choice is yours. This cradle comes with a black wood base that will allow you to use it with ease and since it will be standing, you can be sure that it will not fall off. The cradle is available in a simple black color so you can also expect it to do well with any décor. Therefore, for anyone who is looking for a nice cradle or two, the one at Giftwrap is interesting. You will no longer have to look any further with these cradles and can use them to fit and match your purpose as you desire. 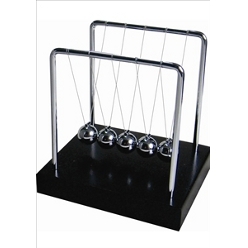 Overall a great cradle for day to day use, try the Newton's cradle at Giftwrap and you won't be disappointed.